Y: The Last Man TV Series In Development at FX | Nerd Much? Brian K. Vaughan’s Y: The Last Man comic book series is heading to television, according to new reports. According to THR, FX will team up with Vaughan and Color Force to adapt the sci-fi comic book series into an ongoing TV series. The FX production is currently seeking a writer to develop the series alongside Vaughan. 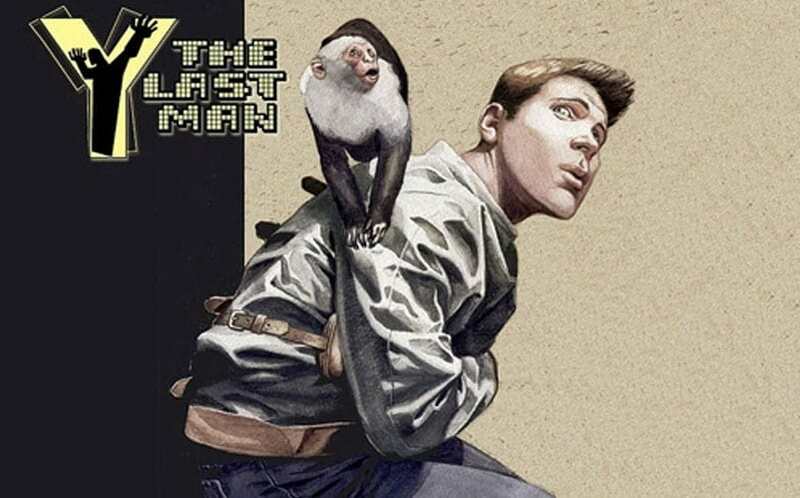 A Y: The Last Man TV series certainly has the potential to be a hit show, especially considering the popularity and critical acclaim of the comic book series. The title, which is under the Vertigo label, follows Yorick Brown, the last surviving human on Earth, and his Capuchin monkey, Ambersand. The series, which was beautifully illustrated by Pia Guerra, follows Yorick and Ambersand as they attempt to get to the bottom of the mysterious plague that has wiped out the world’s male chromosomes. It ran for 60 issues before wrapping up. Of course, the Y: The Last Man movie that was in development at New Line was scrapped, and the rights were given back to Vaughan. Luckily, this is one comic book to TV show adaptation we’d actually like to see. And, let’s be thankful that it isn’t going to be on the CW. Hopefully, FX can get the project off of the ground successfully. For more on the Y: The Last Man TV series, stay tuned to Nerd Much, as we’re going to be following its development closely.